With all the talk about, writing about and discussion about personal branding, this magnetism and charisma is already inside each one of us and part of the DNA of the personality we were born with. So, if you want to be more fun, dynamic, social and memorable, then look inside and develop all the qualities, capacity and potential you already have. Within seconds of meeting someone in person, we just know whether someone is interesting, annoying, funny, sharp or seemingly easy to get along with. First impressions are usually gut impressions and are often right on. Not always but usually. So What Attracts People to Each Other? Our physical appearance and image is unmistakable. Our style, grooming and personal presentation are important magnets for standing out and being remembered. The way we look and present ourselves makes an undeniable impression and statement. It is true however most of the time, that we remember people because of their personality, energy, personal magnetism and how it makes us feel. The study of Interpersonal Attraction and what leads people to friendships or romantic relationships is a major area of research in social psychology related to how much we like, dislike or hate someone. It can be viewed as a force acting between two people that tends to draw them together and resist their separation. It is suggested that to determine attraction, the genetic personality combined with the situation must be taken into account. We should take every opportunity to connect with people, spend time with people you want to grow relationships with and be willing to discuss and work on areas of disagreement or conflict with people you already have relationships with. 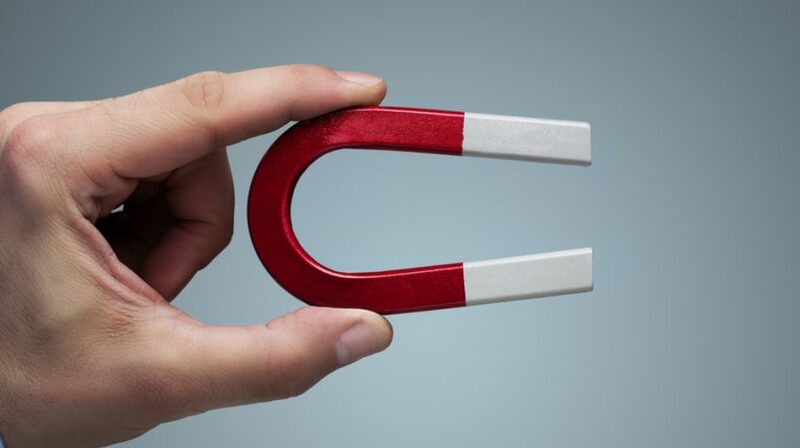 Getting to know people more personally unlocks the magnetism between them. Here are 13 qualities that can make us more memorable and can build personal magnetism. Here are a few more more things that you can do to develop more personal magnetism. “The next time someone asks you, “How’s it going?” or “What do you think of the weather?” don’t think of it as an imposition. See it as an opportunity to open a conversation, establish a connection and set the stage for a potentially deeper relationship” says Andy Molinsky Associate Professor of Organizational Behavior at the Brandeis International Business School. What qualities attract you to others? What qualities do you believe attract others to you? NEXT POST Next post: What Are Smart Drugs and Are They Safe for Entrepreneurs?